Editor's Note: Amarinder Singh was today sworn in as the new Chief Minister of Punjab. Cashing in on the anti-incumbency against the Akali-BJP alliance was not as difficult as the challenges he faces ahead. He needs to keep his promise of sealing drugs supply and acknowledge the problem of public ill-health and groundwater contamination linked to excess use of pesticides. Crumbling health infrastructure and other issues plaguing health sector also need urgent intervention. In the autumn of 2015, Down To Earth travelled to one of India's most thriving and prosperous states. What we saw is a state that has metamorphosed into the country's second-highest disease burdened state. Punjab usually evokes an imagery of prosperity: tall and robust farmers tilling vast green fields on tractors, women milking cows and buffaloes, children enjoying glasses of lassi, rich cuisines prepared with huge dollops of pure ghee and butter, ancestral homes surrounded by yellow mustard fields and courtyards… A rosy picture, isn’t it? But you may need a lens to find out the stark contrast. Walking through the lanes in rural Punjab, one witnesses diseases and disappointment, instead of prosperity and affluence. Teja Ruhela in Fazilka district looks like any other village. Comprising about 200 households, the village mostly has kuchcha houses. Some of them hardly have any ventilation. But people do not care. At least one-tenth of the households in Teja Ruhela have a mentally challenged kid, according to Baba Farid Centre for Special Children (BFCSC), a non-profit working in the area. “Cerebral palsy has been afflicting children in the village for almost two decades now,” says Krishn Singh, a local doctor. The truth in his words is reflected in the wide age group of cerebral palsy patients. The village residents have accepted their dilapidated existence, just like they have accepted the prevalence of cerebral palsy among their children. Four-year-old Dilkhurshaid Varval, or Dilkhush as he is fondly called, suffers from cerebral palsy. He lies cross-legged and motionless on a cot in the courtyard. He has never walked, eaten or bathed on his own. He occasionally rolls his eyes, for that is all he can do. His father, Swarn Singh, is unmoved as he speaks about his son. He says Dilkhush has been in a state of paralysis since he was five months old. In another household in the next lane, 15-year-old Poonam and her younger sister, Renu, also suffer from the neurological disease. Their father works in the revenue department and the family is better off than the Singhs. But the fate of these two young girls is not very different from Dilkhush. Only in this case, Poonam and Renu can walk, but with the help of both legs and hands. One of the lucky few among cerebral palsy patients is eight-year-old Gulshan, another resident of the village. He attended physiotherapy sessions organised by BFCSC in his village from 2009-13. With regular treatment, he can walk holding a walker. He still cannot speak. If he wants to greet someone with a namaste, he can partially raise his hands, but cannot join them. Pritpal Singh, who runs BFCSC, says that his organisation has not been able to provide physiotherapy to children in the village since 2013 due to lack of funds. As a result, young patients like Dilkhush never got the opportunity to get a long-term treatment, unlike Gulshan. Reproductive disorders, too, are emerging as a major health concern. Many couples in Fazilka and Faridkot districts are childless. If some women have not been able to conceive, others have had miscarriages. And the problem is not only with women. Forty-five-year-old Satnam Singh and his wife Simro Bai live in the lane next to Dilkhush’s home. Singh has erectile dysfunction and Bai’s uterus is small in size. Their visits to doctors for treatment proved futile. Since they never had a child of their own, they adopted the daughter of Bai’s brother. Thirty-five-year-old Bir Pal Kaur, a resident of Ramuwala village in Faridkot district, has had 10-12 miscarriages, an astoundingly high number. “I have had so many of them that I lost count,” she says with a blank look. “In the past 15 years, I have been to various government and private health facilities in Gidarvaha, Faridkot, Bathinda and Muktsar districts. I started with the government hospital in Faridkot, but shifted to private clinics because the government hospitals did not have the necessary equipment to treat my case. And the doctors could not explain what the problem was.” Krishn Singh says most people refuse to talk about reproductive health problems as they are shy. 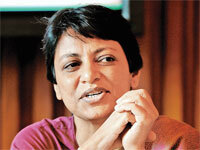 “I know at least 24 couples in Teja Ruhela who suffer from reproductive disorders and are childless. There could be more,” he adds. About an hour’s drive from Faridkot is Muktsar district, known as the “cancer capital” of Punjab (see ‘What ails Punjab’). Almost every village here has a cancer story. Kotkapura is one such village. Nearly all households have had at least one cancer patient. Many have seen the death of their loved ones. Nistar Singh lost his 27-year-old wife, Amarjeet Kaur, to brain cancer last year. He had sold off all his possessions—land and jewellery—to save her. Once a farmer, Singh today works as a bus conductor. His wife’s death has shattered him, and he avoids talking to neighbours or mixing in society. "People are falling ill because of poor eating habits. Have you seen animals fall ill? Why is it only humans? People keep eating the entire day without much physical work. That is the root cause of all diseases. They should change their lifestyle"
Mandar Singh, another resident of the village, too had to give up his possessions to bear the cost of treatment of his wife, Harjinder Kaur, who died of brain cancer in 2010. He spent Rs 6.5 lakh on her treatment. This excludes the cost of travel and food. “I sold one hectare of my ancestral land for Rs 4.5 lakh and gold for Rs 60,000. The rest were from my savings,” he says. As this correspondent was passing through Jagat Singh Wala, another village in Muktsar, she struck a conversation with 37-year-old Surpal Singh, one of the residents. He suffers from Hepatitis C, a liver disease. “Some households have two to three cases,” he says. What was striking was his calm and composed demeanour. He showed no sign of fear or worry of a man suffering from a chronic illness. Forty-six per cent of Jagat Singh Wala’s population has Hepatitis C. This was found in a survey conducted earlier this year by multiple non-profits and led by Amar Singh Azad, a retired government doctor. In fact, more than 30 per cent of people in three villages in Muktsar, Faridkot and Bathinda districts tested positive for Hepatitis C. Jagat Singh Wala is the worst-affected. As one hops from district to district, village to village, new stories of deaths and diseases emerge. But the people appear unperturbed. If some have embraced their sickness, others have left it to fate. Some are reeling under heavy debt to bear the cost of treatment. Jagtar Singh, 38, of Jaitu village in Faridkot, had persistent cough for almost a year. Medication from a local registered medical practitioner did not help. When he started to get frequent bouts of chest pain and breathlessness, he went to the civil hospital near his village, where doctors diagnosed him for lung cancer in 2013. He then went to the government hospital in Faridkot. When his condition did not improve, he went to the Acharya Tulsi Regional Cancer Institute in Bikaner, Rajasthan. “Families who have had cancer patients told us to go there,” says Manjeet Kaur, Singh’s wife. Coming from a family of construction labourers, they could not afford the cost of treatment and took the first loan of Rs 50,000 from a moneylender in the village. 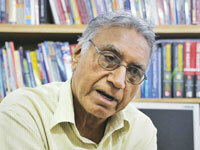 “The burden of debt has increased to Rs 3.5 lakh,” says a lean and visibly weak Singh. Out of this, Rs 1 lakh was given by a zamindar. “Three members of my family work on his fields without wages. That is how we are expected to pay back the loan with interest,” Singh says, his voice heavy with helplessness. In the Malwa region of the state, many people are reporting high levels of uric acid in their blood, which can cause arthritis, and other bone and kidney problems. Sukhpreet Kaur of Ramuwala village has 7.8 mg/dl uric acid in her blood, while the normal range is 4 mg/dl. “I know many people in my neighbourhood with this problem,” she says. Karamjeet, 23, is one of them. She has had arthritis for the past four years. Laboratory tests show excess uric acid in her blood. “I have severe pain in my joints, and I am unable to get up from my bed without someone’s help,” she says. Davinder Singh, who runs the only pathological laboratory in the village, says that in the last week of July this year, he received 20 patients for uric acid test, out of which 17 had levels higher than normal. “A lot of patients who have excess uric acid in blood are in their 20s,” he adds. About 190 km away in Patiala, there is a queue of men and women outside the clinic of Dharamveer Gandhi, a cardiologist and member of Parliament from Patiala. A chat with the doctor reveals that most of the patients above the age of 50 complain of depression and loneliness (see ‘Elderly depression’). “Most mornings I wake up with thoughts of committing suicide. It is scary,” says Swami Barnala, 62, a heart patient from Nabha village in Patiala. He says he has been facing this problem for over five years. “I feel fine when I take medicine, but feel suicidal again when I stop taking it,” he adds. Barnala goes to a private clinical psychiatrist in Patiala and spends Rs 1,500 each month on consultation and medicines. A retired schoolteacher, he avoids visiting the doctor when some major expense crops up in the family. Besides chronic diseases, Punjab is dealing with another major health crisis: drug abuse. Over the years, Malwa region has emerged as the state’s hub of drug abuse patients. According to a study by Madhu Bala, a researcher in Patiala’s Punjabi University, 12,994 patients were admitted in 18 drug rehabilitation centres surveyed in six districts of the region in 2009. By 2012, the number had increased to 18,770, the study says. The state government recently conducted a survey in 12 districts to estimate the number of drug addicts. The results are expected in September. Baljeet Singh (name changed) took to drugs at the age of 15. He started going to a government drug rehabilitation centre in Amritsar in 2011 and showed remarkable improvement. But in November 2013, the police put him behind bars for addiction. His therapy was discontinued. While in jail, he went back to injecting drugs, sharing needles with other inmates. He was released a year later. When he went back to the rehab centre, he tested positive for HIV/AIDS. A decade ago, Down To Earth embarked on a train journey from Bathinda in Punjab to Bikaner in Rajasthan. But it was not a journey of excitement and wonder. For the train was called the “cancer train”. It was full of cancer patients who were going to the Acharya Tulsi Regional Cancer Institute to avail treatment. Ten years have passed, but the train still continues, its compartments overflowing with cancer patients as they were back then. So what is wrong with Punjab? Why do its people continue to go to a different state, day after day, year after year, to seek treatment for their diseases? Is it poor health infrastructure? Or is healthcare unaffordable? And what about other diseases? For a state that is believed to be one of India’s richest and prosperous—the cancer train is a disgrace. The magnitude of sicknesses in rural Punjab is hard to comprehend. The India Human Development Report, 2011, prepared by the erstwhile Planning Commission, belies the reality that one encounters meeting patient after patient. According to the report, Punjab figures among the top five states in India—it ranks fifth—in Human Development Index, which includes the components of health, education and income. "Patients should be able to go to public services confidently, and not be uncertain about finding a doctor. We are upgrading 100 health facilities where adequate staff will be available round the clock"
Punjab fares well even in maternal mortality ratio (MMR) and infant mortality rate (IMR). According to the Union government data, MMR in Punjab is 155 per 100,000 population, while the all-India average is 178. Similarly, Punjab’s IMR is 26 per 1,000 live births, much better than the all-India average of 40. The state has been able to achieve this feat by investing in health workers such as Auxiliary Nurse Midwife (ANM). The number of ANMs increased from 2,602 in 2005 to 4,347 in 2015, which translated into better ante- and post-natal care. It increased deliveries in health centres and hospitals from 63.3 per cent in 2007-08 to 82.7 per cent in 2012-13, says District Level Household Survey. The government also provides Rs 250 to Accredited Social Health Activists for every severe anaemic woman they take care. But if one looks beyond these basic indicators, Punjab has a sordid story to tell. 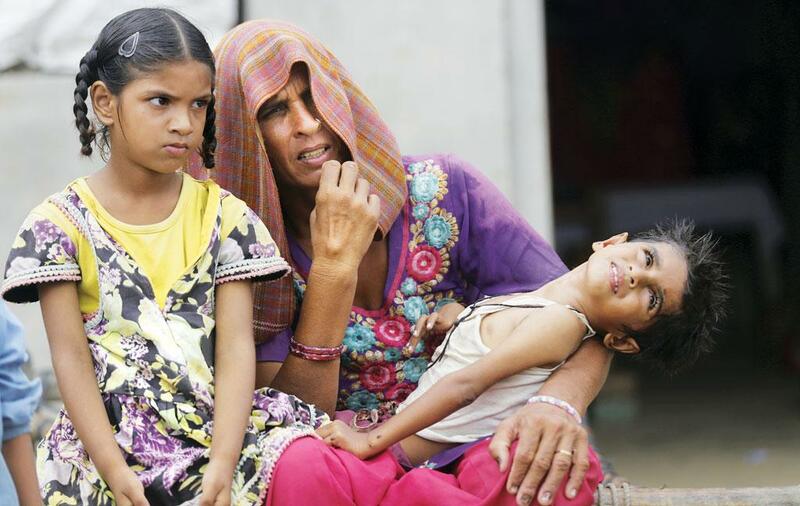 The 71st round of the National Sample Survey Organisation (NSSO), released in June this year, says that rural Punjab has the second-highest number of people in the country reporting some ailment or the other—161 per 1,000 population. This is almost double the all-India average of 89. Punjab is next only to Kerala, where the number is 310. But Kerala is a special case because people have higher medical awareness and report even minor ailments, says Shankar Prinja, health economist at the Post Graduate Institute of Medical Education and Research (PGIMER), Chandigarh. This correspondent travelled to the rural areas of Punjab to find out the spread of chronic diseases across the state. But credible data from the government is difficult to come by. Barring cancer and drugs, systematic study on other chronic diseases has not been carried out in the state. The main reason is denial by the government to accept the disease burden. When the health minister, Surjit Singh Jyani, was asked by this DTE correspondent about the large number of people reporting ailments in the state as pointed out in the NSSO data, he refused to believe. “Acchha, aisa hai kya? (Oh, is it? ),” he asked. "Chronic diseases need a twopronged approach. One, work with the communities to stop spread of communicable diseases like Hepatitis C and HIV. Two, create tertiary care infrastructure in public facilities"
His attitude is reflective of the nonchalant approach to health problems by the state officials. 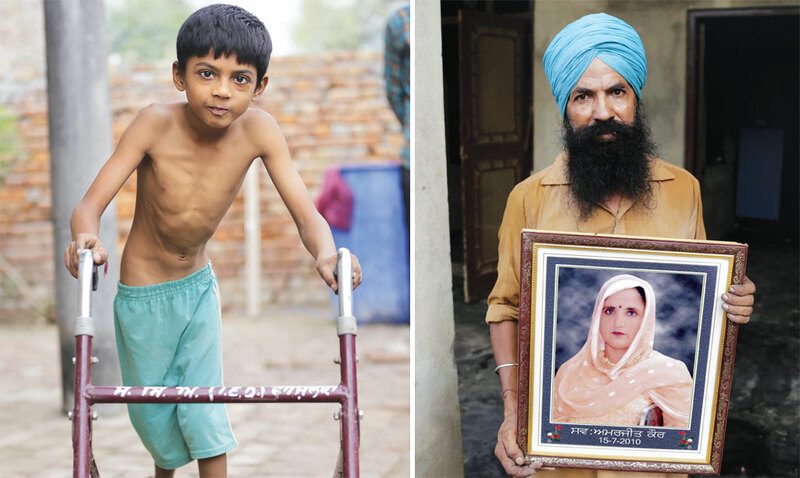 During a special health check-up organised by the health department of Fazilka district in May this year, only two cases of cerebral palsy were recorded from Teja Ruhela and its neighbouring villages Mahatam Nagar, Dona Nanaka and Bhaini Ram Singh. “Cases of cerebral palsy from the area are exaggerated,” says a medical officer involved in the survey. But the data is not accurate as no door-to-door survey was conducted, and only 74 residents from the four villages turned up at the survey camp. This correspondent met at least six children with cerebral palsy across just two lanes of Teja Ruhela. Punjab is perceived to be a rich state. If this were true, people could have easily afforded private healthcare in the absence of public healthcare infrastructure. But this is not the case. People are being forced to sell off their possessions to meet health costs. According to NSSO, Punjab has the second-highest medical expenditure in the country on account of hospitalisation. People in rural Punjab incur Rs 27,718 yearly on an average on medical expenses, as compared to the all-India average of Rs 14,935 per year. While Punjab ranked first in India in terms of per capita income (PCI) in 2000, it slipped to 13th rank in 2012. The 2014 Economic Survey of the government shows that PCI in Punjab is Rs 86,106, out of which 32 per cent is medical expenditure. People are meeting their high expenses by entering into a debt cycle. The average debt per household in Punjab is Rs 64,548, notes NSSO data of 2013. This is twice the all-India average of Rs 32,522 per household. For some like Jagtar Singh, the debt amount can spill on to lakhs. “People are looking up to the government for a cheaper and efficient public healthcare system,” says Rakesh Kumar, head of the School of Public Health, PGIMER. But Punjab does not live up to the expectations. Low MMR and IMR does not imply that Punjab is doing well on other health indicators (see ‘Punjab paralysed’). From primary health centres (PHCs) to government hospitals, health institutions in Punjab do not have enough medical staff or expertise and equipment to treat diseases. This is reflected in the report released by the Union Ministry of Health and Family Welfare on August 18 this year. It says that the number of PHCs in the state remained stagnant at 484 from 1992 to 2007. The number decreased to 427 by 2015. A report by a government taskforce in 2013 studied the standards of public health facilities in three districts—Fatehgarh Sahib, Mansa and Tarn Taran. The report shows glaring vacancies—26 per cent for the post of general doctors, 38 per cent for specialists and 31 per cent for nurses. Yashpaul Samberia, a faculty member at the radiology department in Guru Gobind Singh Medical College and Hospital (GGSMCH), Faridkot, says that public facilities have not developed in Punjab. “We do not have a single government hospital which can boast of super-specialty service,” he adds. This has forced cancer patients like Jagtar Singh to go to Bikaner for treatment as he was not cured in GGSMCH, the biggest government hospital in Punjab. The hospital faces a massive cash crunch. For the past eight to nine years, money for staff salary has not come from the government. “This year the government released Rs 50 crore for salaries and research; the salary component alone for the hospital staff is Rs 72 crore per year. Due to lack of funds, the hospital raises money by imposing higher user charges on patients for services. Surgeries that would cost Rs 800 till a few years ago today cost Rs 4,000. A patient has to pay Rs 250 for an ultrasound, while the government rate is Rs 180,” informs Samberia. District hospitals fare no better. The one in Fazilka does not have a psychiatrist, neurosurgeon or physiotherapist. Such poor health infrastructure highlights the low priority accorded to healthcare by the state government for decades. A 2004 study by the Indian Institute of Management, Ahmedabad, shows that at the peak of its economic prosperity in the 1990s, the Punjab government spent much less on public health, compared to others such as Bihar, Odisha and Rajasthan, which have historically been among the poorer states of India. A research paper by Shailendra Kumar Hooda, assistant professor at the Institute for Studies in Industrial Development, New Delhi, shows that Punjab did not utilise 48 per cent of the funds given by the Union government under the National Rural Health Mission from 2005-06 to 2012 -13. The all-India average was 12.5 per cent. While the government was spending less on public healthcare, there was an emergence of private healthcare in the state. “The private sector has grown more in Punjab than in other states. In the 1970s and 80s, a rich section emerged in Punjab reaping benefits of the Green Revolution, which could afford costlier private healthcare. A number of government doctors, too, left their jobs and started private practice,” says Jagjit Singh Cheema, who retired as a joint secretary of the state health department last year. What is required, though, for availing treatment in a private hospital is huge amount of money, which becomes a burden on the people with low income. A study by PGIMER, which will be released soon, shows that a case of trauma costs Rs 40,000 in public hospitals, but the same would cost a whopping Rs 2.15 lakh in a private hospital in the state. But high cost does not translate into satisfactory treatment. 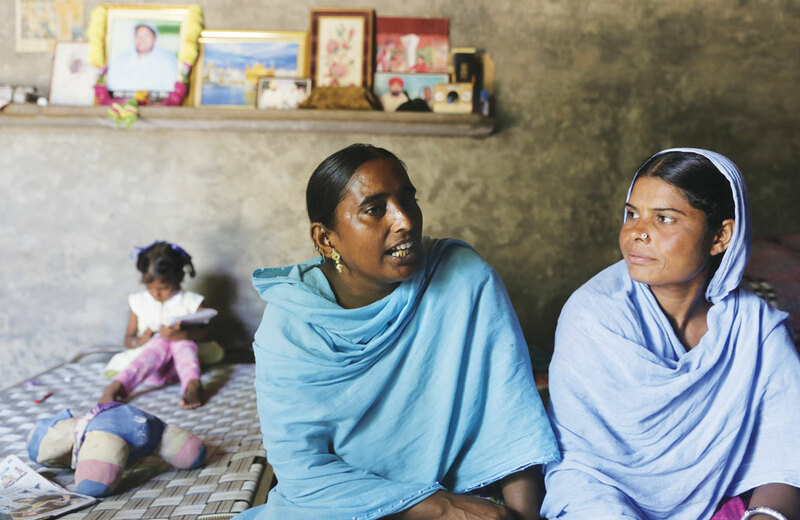 For instance, Bir Pal Kaur, a resident of Faridkot district, got pregnant last year after having multiple miscarriages. She consulted a private doctor in Faridkot hoping for a safe delivery. “He asked me to undergo a few tests during my pregnancy. I paid Rs 10,000 for consultation and tests. I was also given many injections of Rs 5,000 each. In all I spent Rs 2 lakh.” At seven months, Kaur delivered a still-born baby. 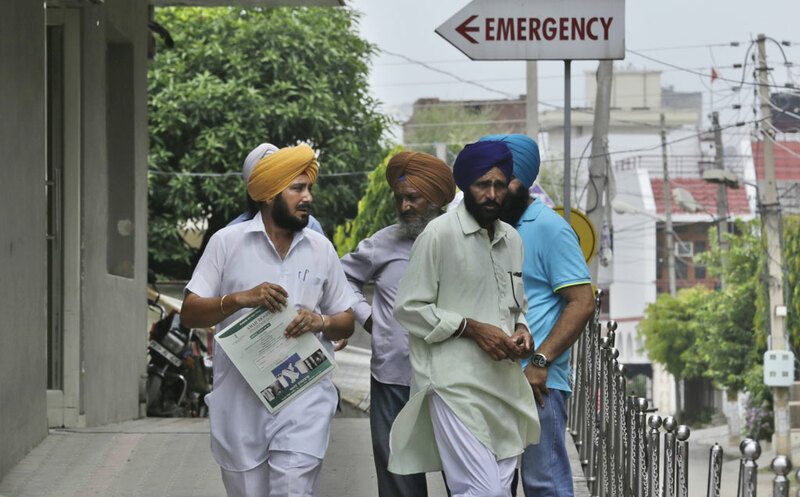 According to NSSO data, 70 per cent rural population in Punjab avail private healthcare, which is substantially higher than the national average of 58 per cent. The PGIMER study also shows that the main causes of high expenditure in Punjab are trauma and cancer. Prinja says that the health system in the state is geared towards communicable diseases. While the health department asked for Rs 38 crore to deal with chronic diseases, the state government granted a mere Rs 7.71 crore in the 2015-16 health budget. In October 1995, under the health reforms system of the World Bank,the Punjab government established an autonomous Punjab Health Systems Corporation to bridge the gap between public and private healthcare. It was set up with the goal of “establishing, expanding, improving and administering medical care in the state”. “The World Bank gave the funding on the condition of self-sufficiency. To achieve this, the corporation started charging from patients for services that would otherwise be free in government hospitals. 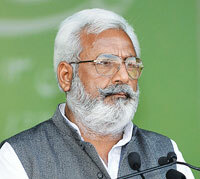 This further pushed people away from public healthcare,” Cheema says. After failing to utilise funds and exhausting the option of user charges, the government turned towards the people to generate money. In 2013, the Corporation made an appeal on its website seeking donations. It has asked for Rs 12.42 lakh towards the cost of running an emergency ambulance for one year. The minimum amount to be donated is Rs 25,000. “This money will be utilised for filling gaps in the hospital named by you... We will record your generous contribution by placing a prominent plaque at the main entrance to the hospital and giving recognition at national day celebrations,” the appeal reads. In doing this, the government has cleverly put the onus of healthcare on people instead of spending from the budget, says Gandhi. To reduce patients’ dependence on private facilities, the 2013 taskforce proposes that the government spend Rs 1,700 per capita per year on basic healthcare in Punjab. It is ironical that the cancer train starts from Bathinda, where Max Healthcare, a super-speciality hospital, was set up as a public-private partnership (PPP) model in 2011. Another unit was established in Mohali in the same year. Both are mandated to provide treatment for cancer, neurology, orthopaedics and trauma. Under the PPP arrangement, Max reserves the right to determine the treatment cost, which is as high as in any other private hospital. The government only gets five per cent of Max’s annual revenue in lieu of free land. As a result, poor patients have been left in a helpless state. It is, therefore, not surprising that they continue to board the cancer train to Bikaner. Punjab: an environmental toxicity hotspot heading towards death?